You can’t beat Palm Beach in Florida, USA, one of the world’s top holiday destination hotspots. There are so many exciting things to do and see here, from amazing beaches to boutique shopping malls, world class golf courses and lively night life. Many holidaymakers choose to visit Palm Beach fl. as part of their cruise vacation’s itinerary. 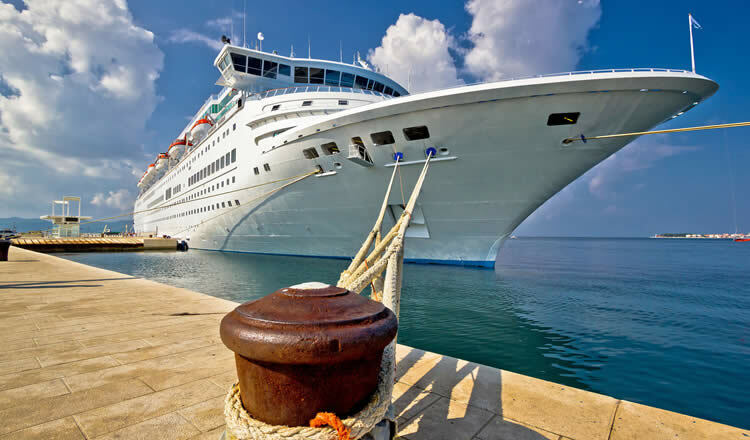 Many tourists prefer to stay in cheap hotels and accommodation close by the port terminal center so they haven’t far to travel when their cruise ship leaves. The port is located to the north in Riviera Beach. The Port of Palm Beach is located at One East 11th Street in Riviera Beach in Palm Beach County. It’s the home port of Bahamas Paradise Cruise Line, which offer year round 2 and 4 night cruises to the Bahamas. Blue Horizon Casino cruises depart also from here. The Grand Celebration passenger terminal is located approx. 80 miles (130 km) north of Miami and 135 miles (217 km) south of Port Canaveral. 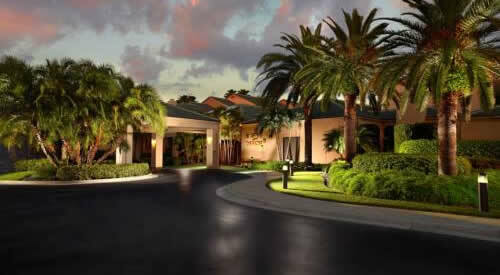 Nearest hotels from the port are located in Riviera Beach and Palm Beach Shores. Great value lodging property located near Highway 95, within easy reach of the cruise passenger terminal. 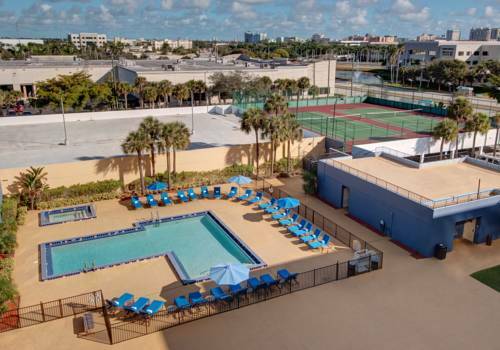 Located not far from Palm Beach International Airport, 10 minutes from city centre. 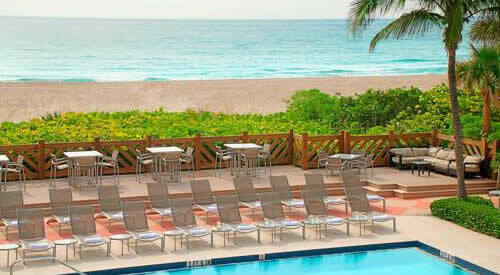 Beachfront resort in Palm Beach Shores, close to port terminal. Town of Palm Beach fl. There will be no time to get bored when visiting Palm Beach in Florida. All the family can enjoy a day at Palm Beach Zoo. Have your camera at the ready to take pictures of the awesome range of animals and birds. There are also interactive shows with trained birds and even singing dogs, wow. If you’re into baseball, don’t miss out on the opportunity to see a game at the amazing Roger Dean Stadium. During February and March a number of professional baseball teams visit the stadium to play exhibition games in preparation for the season ahead. It’s the ideal time to meet players, collect some autographs and get photos of yourself with real baseball stars. Palm Beach, Florida is also home to the Henry Morrison Museum, Norton Museum of Art and the Mounts Botanical Garden. Florida annual events are also another reason why booking cheap hotels closer to the cruise port terminal is such a great idea. Young and old, families as well as singles all enjoy shows, events and festivals here. Check out discount lodging deals online so you have somewhere to stay during the Palm Beach Food and Wine Festival, the Honda Classic event, SunFest Music Festival and the South Florida Fair. Depending on the weather, these annual events usually take place at the same time every year however it’s worth checking the internet for latest information. Likewise, whatever your budget it’s worth checking the World Wide Web for the latest deals in and around the cruise port terminal. When it comes to lodging deals, there are plenty of options to book online such as hotels, motels, self-catering condos and resorts, including holiday homes and villas. Benefit from cheap hotel deals that can be found whether making reservations in advance or taking advantage of last minute discounts and special offers. You’ll be spoilt for choice for beaches along the 47 miles of Atlantic coastline. Whether you’re after a secluded quiet beach or a more crowded, water sport activity location, the resort of Palm Beach has it all. Reserving cheap hotels and accommodation deals close by the cruise port terminal will give you easy access to many of Palm Beach’s major attractions. Served by Palm Beach International Airport, located in West Palm Beach about 3 miles west of the city. Another major airport in the area is Fort Lauderdale-Hollywood International Airport (FLL), approx. 51 miles from the port. FLL airport is the main gateway to Port Everglades cruise ship terminals. Many hotels can be found in the area. Several provide a free shuttle to port Everglades. Parking at the Port of Palm Beach is valet only for cruise guests. Parking is $18 per night per vehicle. Enter the cruise terminal located at One East 11th Street in Riviera Beach, Fla. and you will be directed to the valet parking.